Update 2008.02.22: See the reminder for the latest info. On Sunday, February 24, residents and other members of the greater Flatbush community can learn what they can do to beautify and improve the environment of their neighborhood. 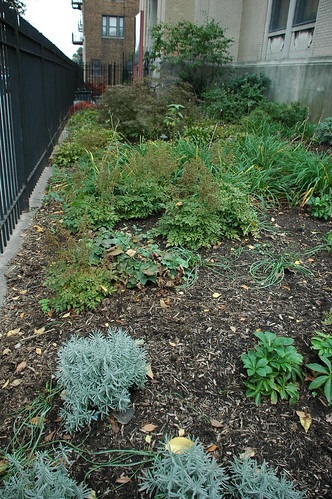 "Greening Flatbush: Garden Where You Are" is an afternoon of short lectures, demonstrations, and workshops on topics ranging from planting and caring for street trees to composting with worms in our kitchen. Greening Flatbush is Sunday, February 24, from 1:30 to 4:30pm at the Flatbush Branch of the Brooklyn Public Library at 22 Linden Boulevard [GMAP]. The event is free, but space is limited. To register, or if you have questions, please email greeningflatbush@gmail.com. 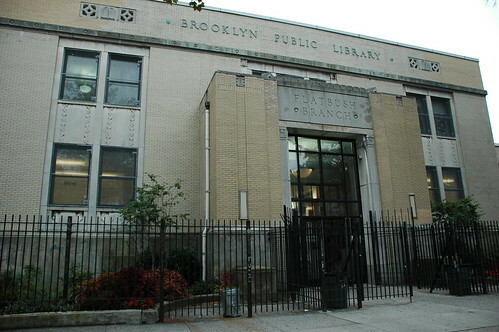 For directions, see the Flatbush branch web page on the Brooklyn Public Library Web site. Sustainable Flatbush provides a neighborhood-based forum to discuss, promote and implement sustainability concepts in Brooklyn and beyond. For more information, visit their Web site. 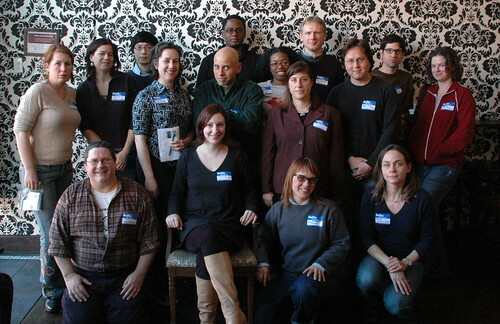 Creative Times' Eleanor Traubman and Mike Sorgatz are hosting the next Blogade, the (tries to be) monthly meetup of Brooklyn bloggers, blog readers, and community members, on February 10. RSVP by "quittin' time" February 1 (next Friday). I'm not familiar with the area, but it seems to be located near Carroll Gardens, Cobble Hill, Boerum Hill, and Gowanus. Subway: F or G to Bergen Street or Carroll Street. Check the MTA's weekend service advisories for the latest updates on service. Bus: B75, B65 or B71. Tonight's Imagine Flatbush 2030 meeting will take place at 6:00 pm at the Brooklyn College Student Center, 6th Floor, at East 27th St. & Campus Road (ramp entrance near Amersfort Place). This video, composed of images and footage from the second workshop, held at Brooklyn College back in December, provides some information on the process. If you're curious about the man behind the blog, I make two very brief appearances, presenting issues raised in the group I was in. From 2:00-2:04, transportation is mentioned. And from 2:23-2:29, I report retail affordability as an issue: "We don't want all of our local businesses to be replaced by chain stores." And I think I recognize my voice as the voiceover from 3:02 to 3:13. 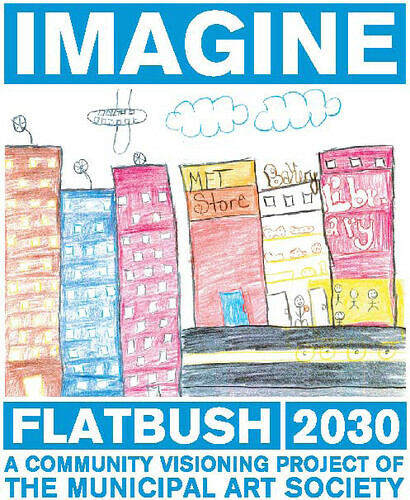 Imagine Flatbush 2030 from MAS on Vimeo. If you have not sent an RSVP and are interested in attending, please contact Sideya Sherman, at the Municipal Art Society (MAS) Planning Center, 212/935-3960 or via email at ssherman@mas.org. Snacks and sandwiches will be served at tonight's workshop. 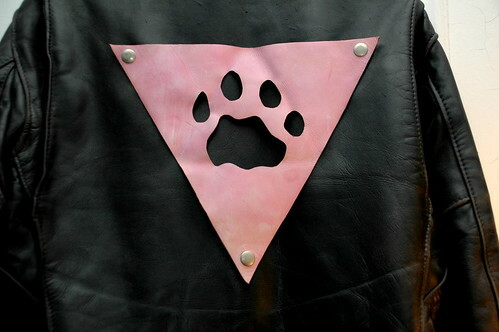 Update 2008.01.23: Added brief history of the Pink Panthers and bibliography of articles from the New York Times. My friend, David Joseph Wilcox, died 12 years ago, on January 22, 1996. He was 38 years old. Earlier this evening, I listened to a recording my partner, Blog Widow John, and I made, interviewing each other about our remembrances of Dave. Two years ago, on the 10th anniversary of his death, we went to the StoryCorps booth at the World Trade Center site - Ground Zero - in downtown Manhattan. In particular, we spoke about how Dave's death brought us closer together. Dave moved in with John for the last year of his life. For many reason, it was a trying time for John, even apart from Dave's illness. When Dave died, John reached out to me, as someone who knew both of them for many years, for support. Though we had already known each other for over a decade, that was the beginning of greater intimacy between us than we had ever shared. Our relationship today arose, phoenix-like, out of our shared loss. When I can figure out how to edit down the full 45 minutes we recorded into more manageable tracks and cohesive segments, I'll be able to make them available. What follows is the full text of the eulogy I wrote and read at one of Dave's memorial services. I have a VHS videotape of that which could be transcribed to digital video, but I can hardly be understood in it. I could barely speak. I finally figured out how to aggregate multiple Google Calendars into a single view. I knew it was possible, because others have done it with my Flatbush Gardener calendar. My calendar has been in the sidebar for some time now, but I have to squish and stretch it so it will fit comfortably. Here's a big version. To display events from multiple calendars in the same embedded calendar, simply follow the instructions above to access the Google Embeddable Calendar Helper. Then, check the box next to each calendar you wish to display, listed under "Calendars to Display." - How do I embed Google Calendar on my website? The "link" mentioned reads "Customize the color, size, and other options." "Other options" is a rather obscure reference to "oh, and by the way, you can aggregate multiple calendars." "iframe" is the "container" for the calendar. "src" identifies the contents. Here, we're asking Google Calendar to generate the contents for use, based on the other parameters we provide. "0" (zero) is programmer for "No" or "Off". In other words: don't display the title of the calendar, "Xris (Flatbush Gardener)". The default layout for the calendar. On wide displays, tabs at the top of the calendar allow you to choose different layouts. I chose "Agenda" as the default because it shows the most information about each event. The height, in pixels (dots on your display) for the contents. "wkst=2" means "Make Monday the start of the week." Doesn't make any difference for the Agenda layout. "bgcolor" = "background color." "FFFFFF" means "white." Which calendar to display (mine, in this case). 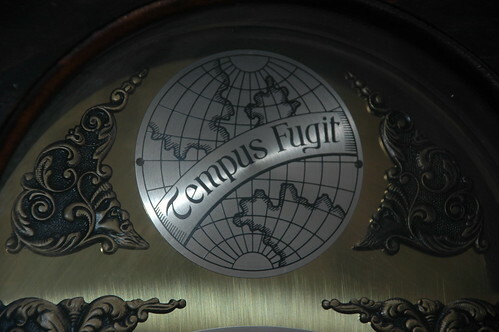 With which color to display the preceding identified calendar. Repeat 7&8 for each calendar you want to aggregate. 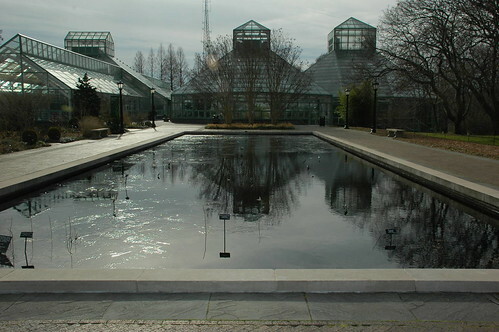 Last Saturday, I attended a meeting of Brooklyn community gardeners at the Brooklyn Botanic Garden. 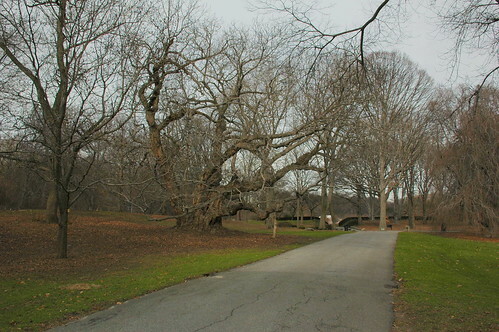 I arrived at BBG early so I could enjoy the solitude and wintry setting. 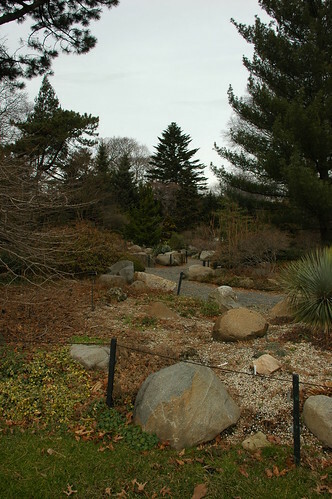 I was hoping to find some early blooms in the Rock Garden. I didn't, but there was still some activity there. It's beautiful in all seasons, anyway. Unfortunately, I didn't get the id tag for this guy. 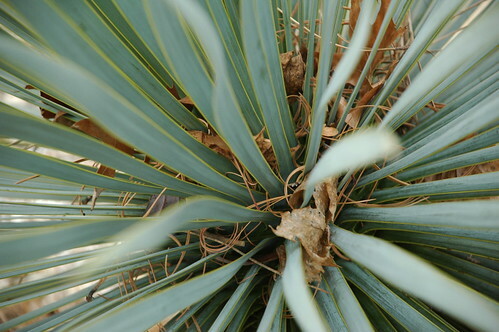 I think it's a Yucca. 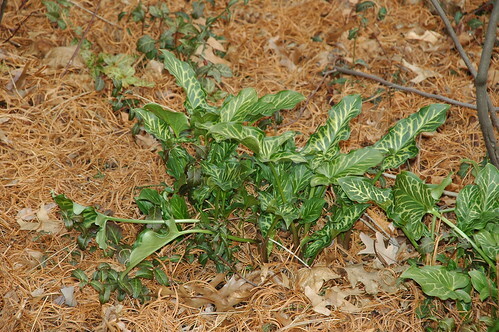 I have some growing in my backyard, but they're in shade and don't have the glaucous foliage of this one. I prefer natural light in my photography. On this day, I experimented with using an attached flash. Most of the flash shots were unsatisfactory, and didn't reflect what I was seeing when I took the shot. I kept a couple pairs of flash and non-flash shots side-by-side for comparison. 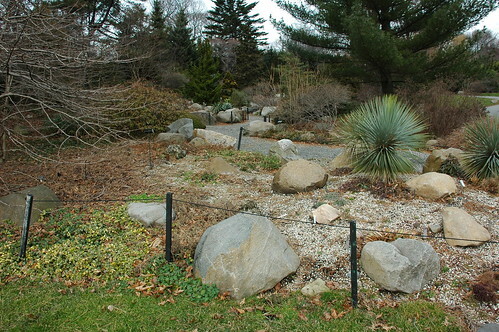 At the northern end of the Rock Garden is BBG' Witchhazel collection. Lots of action there on my visit. 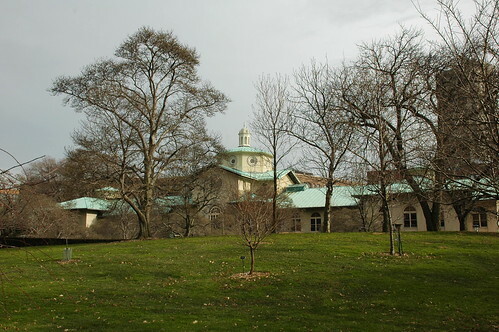 From the Witchhazels, I walked along the path past the Caucasian Wingnut, cut across past the Monocot Border to the Lily Pool Terrace, then on to my meeting at BBG's landmarked Lab/Admin Building. 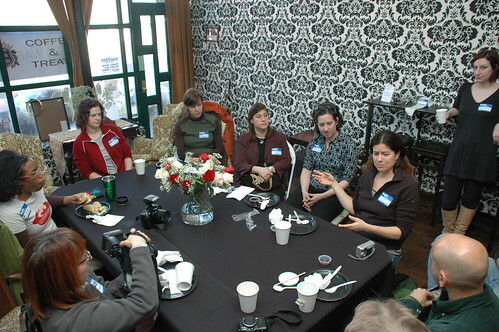 Today I attended the Clinton Hill Blogade, an ongoing series of more-or-less monthly meetups of Brooklyn bloggers. 17 people attended today's event. A good turnout, considering the windchill was in the teens today. Robin Lester of Clinton Hill Blog, Lesterhead and Flickr, hosted and coordinated today's event at Frank White Cafe on Atlantic Avenue. 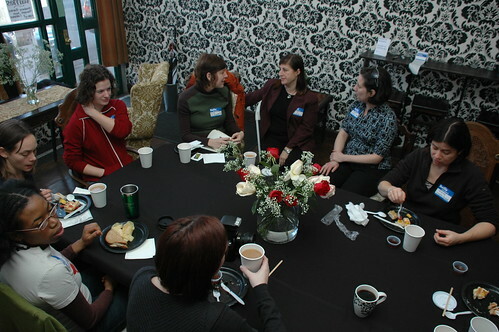 The next Blogade will be February 10 in Carroll Gardens/Cobble Hill, hosted by Eleanor Traubman of Creative Times. Following is the text, edited slightly, of my contribution to a keynote address to hundreds of attendees at a conference in October of 2000. The occasion was the Fourth Annual Breaking Walls, Building Bridges (BWBB), an annual conference by, for and about lesbian, gay, bisexual, transgender and questioning (LGBTQ) youth. From 1999 to 2002, I was a member of the steering committee of a recovery (chemical dependence and other) advocacy group called SpeakOUT. Among the opportunities that offered me was participation in the planning committee for BWBB. The 2000 conference theme was Activism. Rather than bring in an outside, expert "activist" speaker, the planning committee chose to hold a group keynote of the conference planners themselves. With my increasing involvement in advocating for and organizing around issues of greenspace, sustainability, and community through gardening, I think this is on-topic for this blog. For me, it's a timely reflection on where I've been and what I've done to guide me in my current and future efforts. I am not an activist. This is not modesty. I just don’t think of myself that way. I don’t think of what I do as activism. Activists do things I won’t do, or can’t do, or would never think of doing. 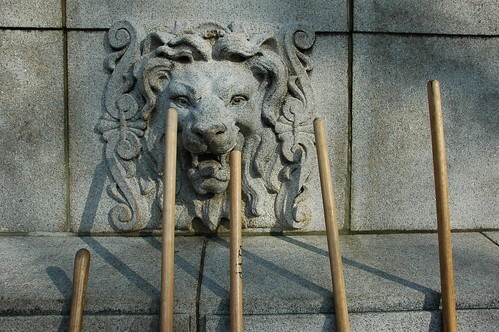 Activists are heroic, even mythic, beings. What they do is beyond my reach. When I was a boy I would fantasize about being a hero. I could be walking along a bridge, and hear someone calling for help from the water below, and jump in and save their life. I could know I’d done something good and important. I could know that I mattered, that I could make a difference. In elementary school the best I could do was read to younger kids at the public library, and organize a fund-raising drive for the local animal shelter. When I was 14 the best I could do was tell my parents one Easter morning that I wasn’t going to church with them because I was an atheist. In high school the best I could do was refuse to recite or stand for the “pledge of allegiance” during morning home room because I didn’t believe in “one nation under God” or that there really was “liberty and justice for all.” In college the best I could do was organize a gay student rap group so I wouldn’t be the only gay person I knew at school. In each case I never felt that I was doing anything special. I did what I felt I must do. It never felt like a choice to me. I never felt courageous doing any of these things. These examples predate “gay cancer,” GRID (Gay-Related Immunodeficiency Disease), AIDS. I’ve lost countless scores, probably hundreds, of lovers, friends, neighbors – and heroes – to meaningless deaths from AIDS, as well as suicide and drug overdose. I have to ask: Why am I still alive? Since there’s no life after this one, and no divine purpose, how can my life have any meaning? I’ve concluded that the only meaning to be found in life is that which we give it. The best I can do is try to leave the world a better place than I found it, through my words, my actions, my spirit. I have no choice. It’s what I must do. Some say “The end justifies the means.” Don’t believe it. Those who say so would only take credit, and none of the responsibility, for changing the world. So much unjustifiable violence is done in the name of Family, Nation and God. The end is nothing. The means is everything. How we do things is more important than whether we succeed or fail. How we live our lives is heroic. Victor Frankl, a survivor of the Nazi holocaust, wrote “What is to give light must endure burning.” Light doesn’t justify burning. Light transcends burning. 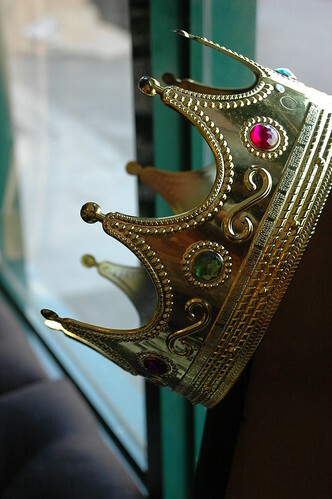 How we celebrate ourselves transcends what we must endure and survive. It serves only our enemies – and serves us least of all – to be polite, nice, and “normal,” to be unassuming and inoffensive, to be silent and invisible. Every one of you, by being here today, whatever it took, is a hero to me. Shine on. 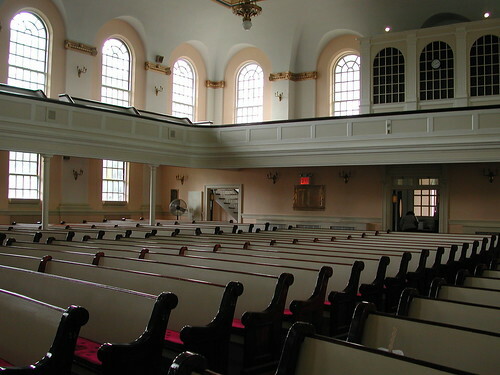 Four Brooklyn churches are among the 66 religious properties statewide that received preservation funding from the New York Landmarks Conservancy. Two of the four in Brooklyn are in Flatbush. 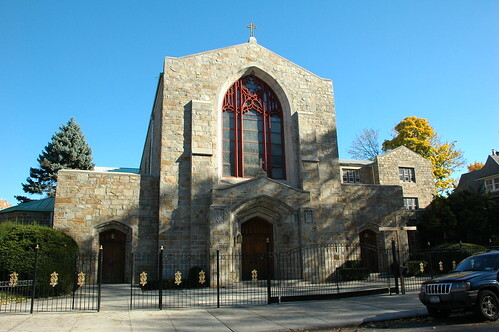 Holy Innocents Roman Catholic Church, on Beverly Road between East 17th and East 18th Streets in Beverly Square East, was awarded a Robert W. Wilson Sacred Sites Challenge Grant Pledge of $40,000 for the restoration of its copper roof. 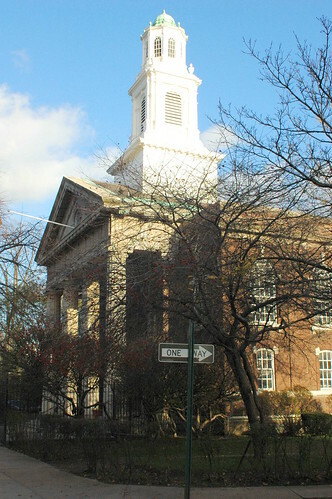 Flatbush-Tompkins Congregational Church in the Ditmas Park Historic District was awarded a grant of $10,000 for window restoration. FTC has got a hell of a lot of windows. I'm sure that $10K doesn't begin to scratch the surface. I suppose it's probably for their stained glass, rather than these. 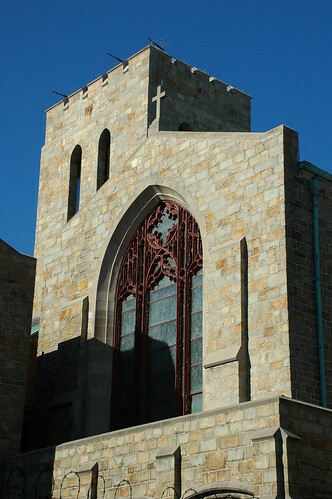 The other two are St. George’s Episcopal Church of Bedford-Stuyvesant, which received $6,000 for stained glass restoration, and St. Philip’s Episcopal Church at 334 MacDonough Street in Stuyvesant Heights/Bedford-Stuyvesant, which received $10,000 for the restoration of its tower, masonry and roof drainage. 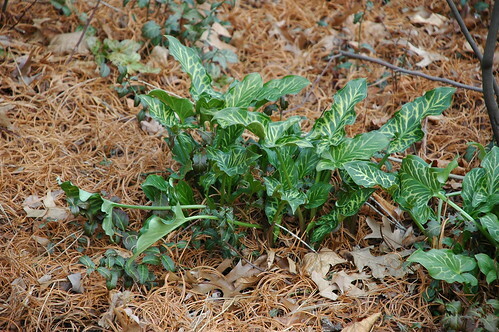 Project BudBurst will officially get underway for the 2008 campaign on February 15, 2008. 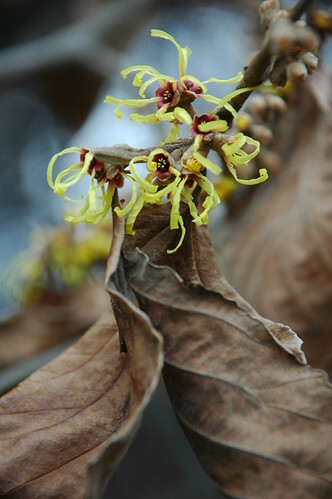 Due to the overwhelming interest in last year's pilot project, we are very confident that the 2008 campaign will be a success and that the observations reported on the Project BudBurst Web site will be useful to phenologists and climate scientists. Last year there were reports from participants in 26 states. Ohio and Illinois had the highest rate of participation followed by Utah, Colorado, and Michigan. Expanded time, starting February 15th and continuing until the fall. 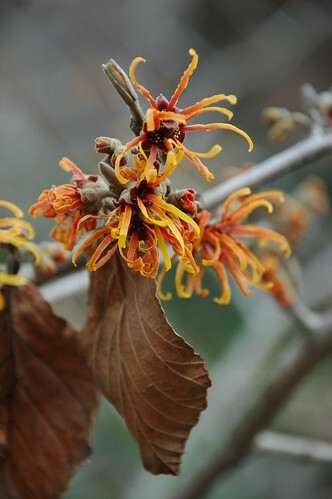 A myBudBurst member registration space to save your observation sites and plants online as you monitor phenological changes throughout the year and for future years. 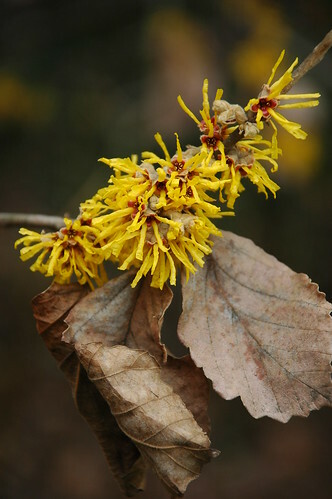 Expanded targeted species list, including 19 calibration species from the National Phenology Network. 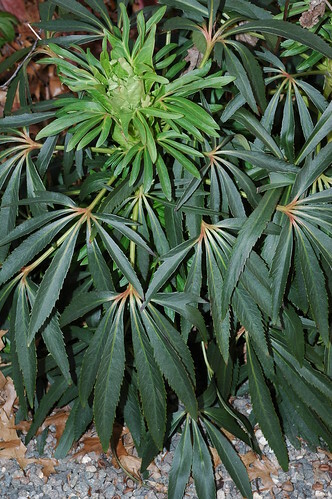 Monthly photos of the latest plants blooming. 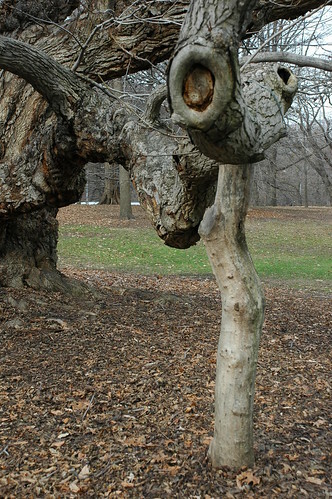 Project BudBurst is a national field campaign for citizen scientists designed to engage the public in the collection of important climate change data based on the timing of leafing and flowering of trees and flowers. 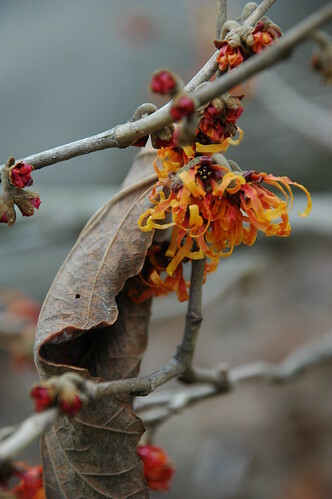 Last year's inaugural event drew thousands of people of all ages taking careful observations of the /phenological/ events such as the first bud burst, first leafing, first flower, and seed or fruit dispersal of a diversity of tree and flower species, including weeds and ornamentals. Your help in making observations and sharing information about Project BudBurst will help us in making this year even more successful. 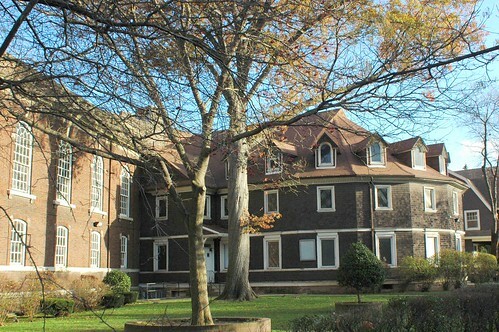 Celebrate the spirit of Dr. King at BBG! Join us for this touching and beautiful performance of spirituals featuring the Great Day Chorale, led by founder and director Louvinia Pointer. 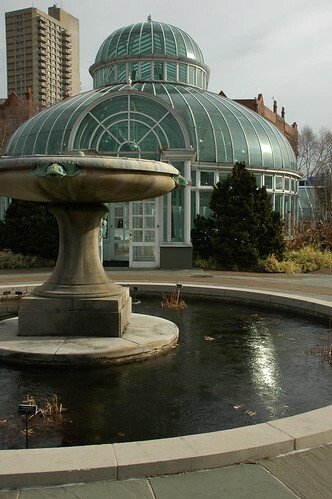 Performances are at 11 a.m. and 2:30 p.m.
Plant lovers can enjoy a special tour at 1 p.m. highlighting the plants of Africa and the Caribbean in the Steinhardt Conservatory. 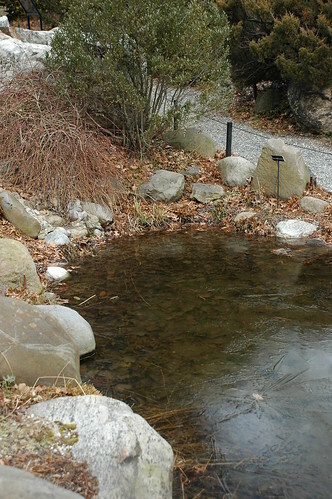 Admission to the gardens is free for non-members on weekdays through February. It's too late, but it's not too late, is it? In setting the carbon reduction goals for Plan B, we did not ask “What do politicians think is politically feasible?” but rather “What do we think is needed to prevent irreversible climate change?” This is not Plan A: business-as-usual. This is Plan B: an all-out response at wartime speed proportionate to the magnitude of the threats facing civilization. This is not news to me. I learned this 30 years ago, when I first read Frances Moore Lappé's Diet for a Small Planet. 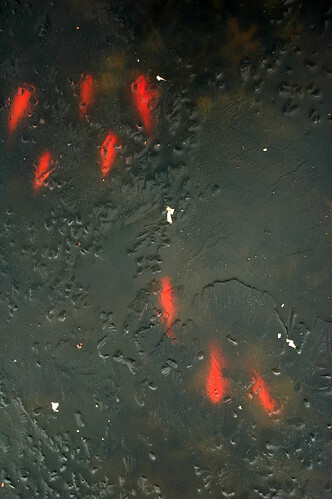 But we already know that, as a species, we are not good at putting into action what we already know. Tomorrow never comes, so we live for today. We will be the cause of our own collapse and extinction. Then the earth will begin to heal from our predations. Sorry, just not feeling optimistic today. Nurseries: Include your postal mailing address on every page of your Web site. At the worst, provide the link to a "Contact Us" page that has this information on every page of your Web site. Reduced shipping costs: It costs less to ship something to me from New England than California or Oregon, so it costs less for me to get a plant from local sources. Fuel and transportation costs will continue to increase, so this will become increasingly important. Greater viability: It takes less time to ship something locally than across country, so the plants I receive from local sources are in better condition. 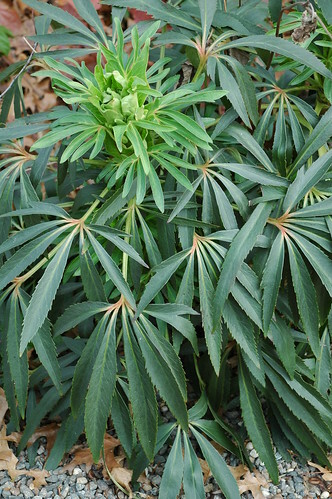 Suitability: Plants propagated and grown out locally are more likely to already be accustomed to my climate. 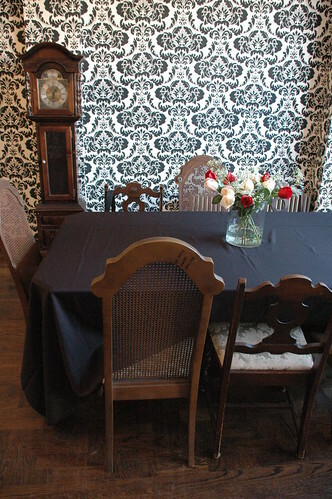 Selections: Small, local nurseries are more likely to have small quantities of specialty plants unavailable elsewhere. Economics: It's more sustainable economically and culturally to support local business when and where I can. 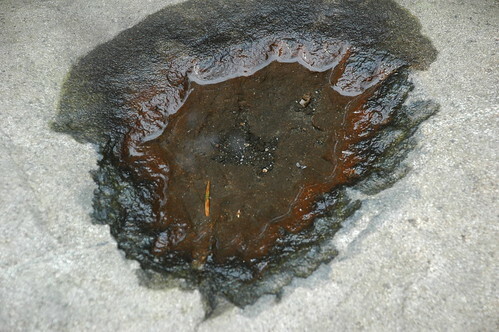 Finding out where you are located should not become a treasure hunt. Case in point: Perennial Express, located (I eventually discovered) on Long Island. Their home page contains no contact information. There's also no obvious link to such information, such as the usual ""Contact Us" or equivalent. It now becomes a "treasure hunt": keep clicking on every available link until you happen to stumble across one that looks like it might lead you to the information you want. Neither of the links at the bottom of the page - Terms & Conditions, and Shipping Information - provide any information. Their Catalog page (referred to elsewhere on their site as their "Online Store" - two different ideas, in my mind) tantalizingly, teasingly, provides a "Contact Us" link. However, that link leads to an online form which you can fill out to send a site-generated email. Again, no information about where they might be located. In fact, nowhere on this site is there any information about how to contact them or where they might be located. Not even the state or area of the country is given anywhere. The only way to find out where they are is to leave their site. Turns out they have a wholesale operation called The Plantage. There is one link to that buried at the end of their home page. Again, however, there is no obvious link to their contact information, even on their wholesale site. There are five "fake" links across the top of the home page: Home, Sales, Information, Links, Gardening. "Fake" because they don't link to anything. They're just anchors for drop-down menus of links which only appear when you move your mouse over them. Through this kind of "out of frustration I wave my mouse around the screen just to see what happens" exploration, I eventually discovered that there is a "Contact Us" link hidden beneath the "Information" anchor. There I found just what I was looking for: mailing addresses, with zip codes and everything. For anyone who cares at this point, they're located in Mattituck and Cutchogue in far Eastern Long Island, near Orient Point, about 85 miles from where I live. That qualifies as a local source for me. But based on my frustrating experience trying to figure that out, I'm not going turn to them unless and until they can straighten our their retail end of things. 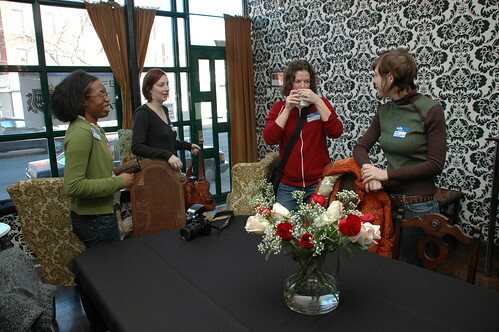 The next Brooklyn Blogade will be in just under two weeks, on Sunday, January 20, in Clinton Hill, hosted by lesterhead of Clinton Hill Blog. 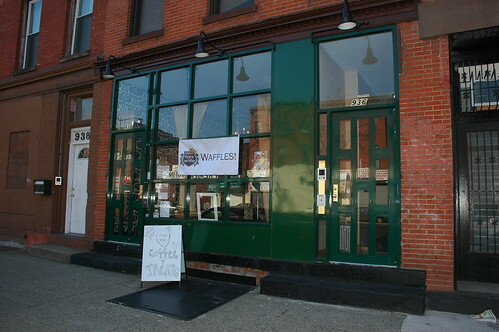 MENU: hot waffles. fresh toppings. January Brooklyn Blogade: Clinton Hill! The next meeting of the Gardening Committee of Sustainable Flatbush is this Saturday, January 12, from 11am to 1pm, in the Ditmas Park West area near Newkirk Avenue. 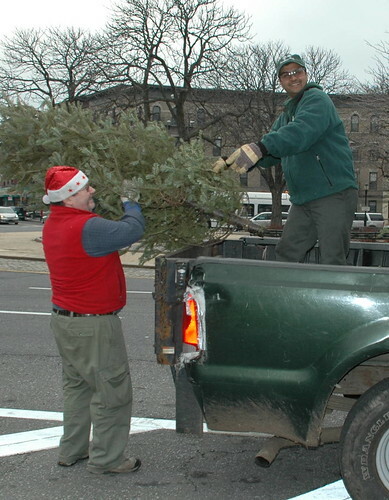 219 trees were chipped at this location on Saturday, 564 on Sunday. The two-day total was 783. Not bad for the first time at this location. I left Saturday about 12:45pm, so I didn't get to see how the rest of the day went. 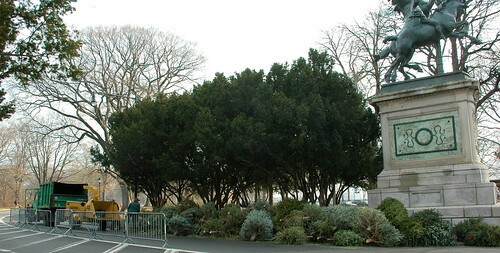 When I arrived Sunday morning, there was already a full corral of trees waiting to be chipped. I don't know how many of them were left over from Saturday. It's likely that many of them were dropped off overnight. 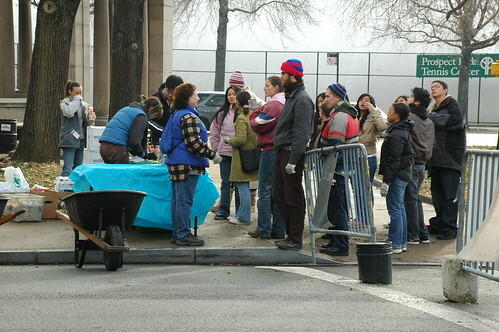 There was a much bigger turnout of volunteers today than yesterday. It took a while for everyone to get signed in this morning. It's a good thing we had all the volunteers on hand. There were several large truckloads delivered during the day. 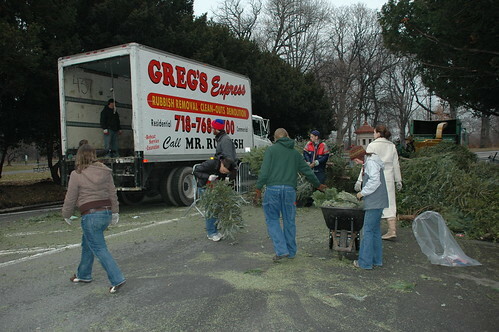 As expected, many more people brought their trees today rather than yesterday. 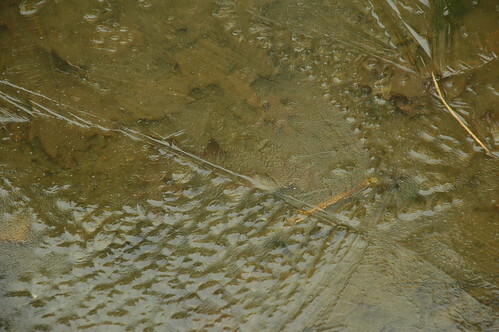 There was a pretty regular stream of arrivals. 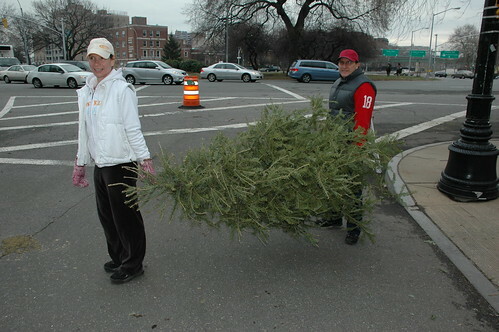 Most of the folks brought their trees by car, but they also walked, as this couple did, wheeled their trees in laundry and shopping baskets, and even biked them in. The chipper didn't operate constantly all day. 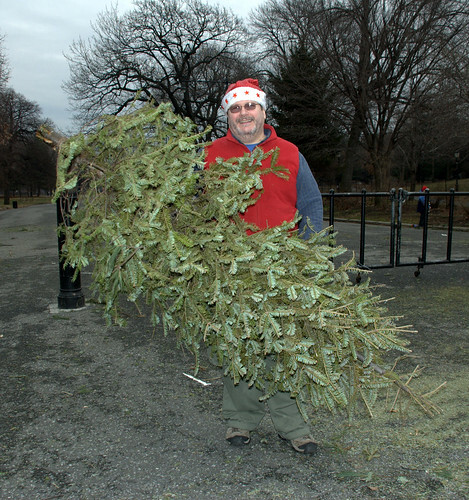 We'd build up a large batch of trees, then the Parks staff would crank up the chipper and polish off the pile quickly. 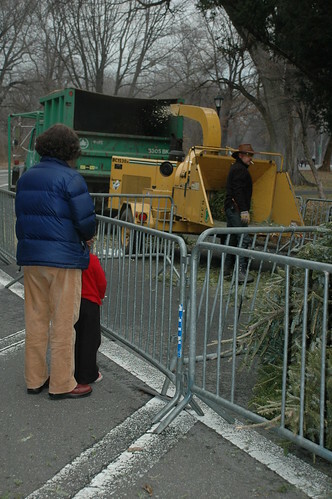 When the timing was right, and the chipper was active, folks dropping off their tree got to watch their very own tree getting chipped. 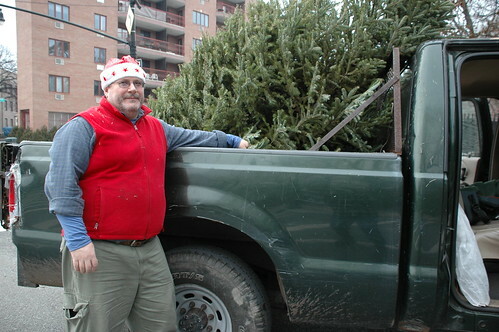 In the interest of photos of garden bloggers, here's an action shot of me bringing a tree from curbside to a Parks pickup truck. It's not in my garden, but it's somewhat gardening-related. Several of the Parks staff and some of the volunteers addressed me as "Santa".